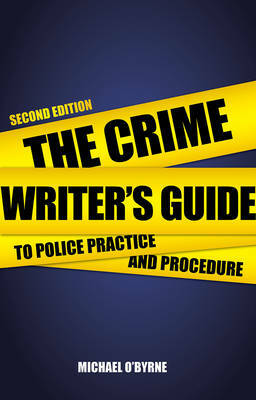 This fascinating, information-packed book is a must-have for anyone wanting to write crime fiction. It is more of a reference book than something to read from cover-to-cover and contains everything that crime writers might want to include in their police procedurals. The book is indexed, referenced, has a comprehensive listing of contents and a very useful acronym glossary at the back. There are no longer any excuses for crime writers who make mistakes through not doing their research before writing their books! I was particularly interested in the forensics and DNA analysis section. Coming from a molecular biology background, a sure-fire way to put me off a book is to have wildly inaccurate DNA work in it. This particular chapter was first rate! The other chapters include topics such as: how the investigation begins in reality; profiling; the tools available to the police (like HOLMES); catching serial killers and what exactly is ‘use of reasonable force’. Although I am not considering turning my hand to writing a book any time soon, I really enjoyed reading this Writer’s Guide. Its author, Michael O’Byrne, is himself a former policeman and his last position before retiring was Chief Constable in Bedfordshire, so he most definitely knows what he is talking about! This book should be an essential on the bookshelf of every crime writer and is most definitely worth delving into for general interest’s sake as well. If you like finding out how things work, just for the pleasure of knowing, then this book is for you! *The First Edition was reviewed in 2009. 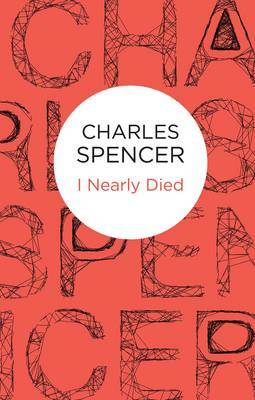 I NEARLY DIED is the first of three crime novels by the recently retired Daily Telegraph critic Charles Spencer, now brought back into print by Bello and available in ebook or hard copy. Will Benson (who I think must be a fictional version of Spencer) has graduated from local journalism to a staff post at Theatre World. He is an ordinary sort of guy, unambitious but dissatisfied with his life, drinks too much, running to fat, an unlikely fan of the works of Noel Streatfeild. He opens the book on an apparent drive to make enemies. Attending a terrible production of Romeo and Juliet, he pans it in a review but finishes with a final-paragraph tribute to the genuinely brilliant Juliet. His review is cut for space and leaves out the praise. Dressed in baggy khaki shorts, a scarlet Hawaiian shirt crawling with green parrots, and with a plastic policeman's helmet perched on his head […] the whole house was indeed helpless with laughter. But it was a laughter of hate and ugliness and fear. Joe turns up to his interview steaming drunk and makes some career-ruining admissions to Will, all of which go onto tape. Joe’s agent, the tough-as-nails Harry Meadows threatens Will if his revelations get into the papers. So when Will starts getting death threats, there is no shortage of suspects. This is an enjoyable book, deftly satirical (‘Prejudice and schmaltz, the twin pillars of light entertainment’), unafraid to mock real-life stars (Andrew Lloyd Webber is described as having an ‘I’ve just won the prep school scripture prize’ expression). 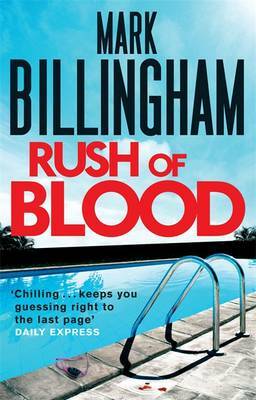 The author's familiarity with the world he is describing lends the story realism and a great sense of atmosphere. The mystery element is none too strong, but this is more than compensated for by the sense of humour, a bit of romance between Will and his colleague Kim, and a likeable narrative style. I enjoyed hanging out with Will and look forward to sharing more of his adventures. A new French film, The New Girlfriend, is based on a Ruth Rendell short story of the same name from 1978. I'm not including the trailer as apparently it gives too much away. IMDB keeps it short and sweet: "A young woman makes a surprising discovery about the husband of her late best friend." Nice to see the poster name-checking Ruth Rendell. Here are nine reviews which have been added to the Euro Crime website today, six have appeared on the blog since last time, and four are completely new. and Terry also reviews the reissue of The Mystery of Tunnel 51 by Alexander Wilson. Lee Child interviews Maj Sjöwall. LC read the books in the '70s and hoped he wouldn't come over too fanboy-y in his interview. Does she mind talking about a ten year period which happened about 50 years ago? Not at all as in this situation she is crime writer. She was aged between 4 and 9 during WW2, everything stopped during the war. Jazz smuggled in, in '40s' and rock and roll in '50s, smuggled in via England, eg Cliff Richard and then the Beatles. LC: Image of Sweden at the time as a paradise, all the girls were pretty and would sleep with you! What was wrong with Sweden? MS: You're right about the girls! Sweden was turning from social democratic country to a more right wing country. They wrote books during the time the Vietnam war was on. Olav Palme – a great pr man, painted picture of idealistic society but we didn't see that – country more and more right wing and capitalistic. Police were portrayed as more militaristic than civil. Met Per, both working in same publishing house and MS needed a translator of two Father Brown stories and was introduced to Per. Met again and again. Per had written 3 political novels (inc 1 about football) and wanted to write something entertaining and bake into it what they wanted to talk about. At the time there were no police novels in Sweden. Both fond of Raymond Chandler, Dashiell Hammett, Simenon. But didn't want to write like someone else. It was hard to get information about the police then. Our idea was to have not just a single hero but a team. LC: Introduction to Roseanna is pages of admin about organising the dredger – radically different approach. 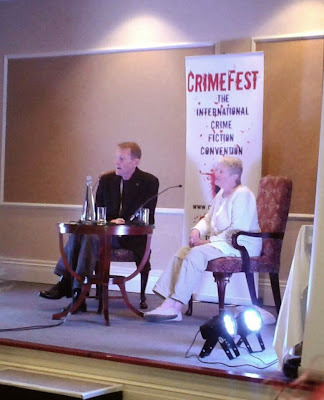 MS: Crime novels in Sweden were very bourgeois, wanted it to be realistic – people say their books are slow – but it is realistic. Started series before they had read Ed McBain even though they are often compared and went on to bring McBain books to Sweden. Book 1 did ok, not fantastic, got good reviews, after books 2 and 3 young people began to react. Martin Beck is a typical civil servant, rather boring, dutiful, has empathy (Lee Child said he is lovely). LC: Is she pissed off that people are doing the same as what they did? MS: Not pissed off that people are doing the same but can't they find some other way to write about society? Books are now half about romance and private life and this stems from Martin Beck as he had a private life - MS said we didn't mean to do it! 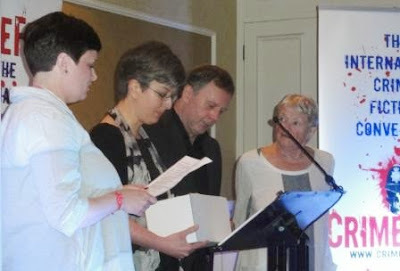 They won an Edgar for book 3 – only non anglo-saxons to win an Edgar. 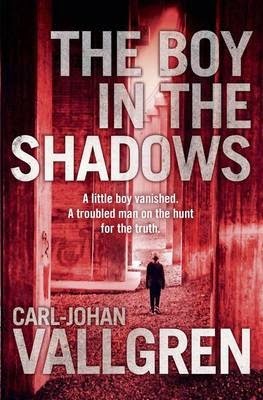 Every year there are 10 new Swedish authors...publishers buy at Frankfurt because it's Swedish, Scandinavian noir. Has no explanation for success...it's not that fantastic is it? They decided on a ten book series, no more no less. One novel, split into ten: Novel of a crime. Wouldn't have carried on for anything. LC: Here you have integrity on legs. PW: Per was to planning to write next about modern warships. Didn't want to write 300 pages on own – too lonely so wrote short things, poetry. Sat face to face with Per working over a table. Talked a lot about the story and the language and for the first book – the characters. In Roseanna, a US character was not chosen to open up another market but just to show how Swedish, Swedish police were, and how they could hardly communicate with the US. They did the voyage through Sweden for fun and there was a beautiful American woman on the trip, Per was watching her, so I said we'll kill her! Books don't change the world very much but can change thinking. S & W opened the market – half the population writes crime fiction now! Doesn't read much but likes Leif GW Persson who sticks close to real life. When asked about the Matthau film - said we needed the money!. Her favourite is The Locked Room. 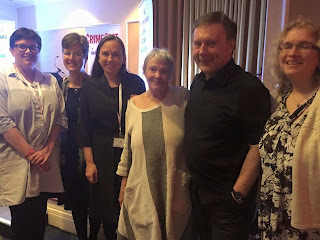 Doesn't do much writing for publication, though will write for friends, as publishing means things like CrimeFest – ok in England but not in Sweden. Doesn't want to talk about self, or be looked at. "....So, to recap: we've got three Salafists, one Hasidic Jew and a family of Jehovah's Witnesses... That is one holy hornet's nest!" Ahmed the Dreamer is on the balcony of his tiny apartment, watching the clouds. Dreaming. Poetry. Books. The second-hand, English-language thrillers stacked four deep around the walls of his room. Dreaming. The mountains, rocks, water and sand of his ancestors. He glides above their land, a man-vulture, suddenly plunging down towards a dark and terrible shape. His fellow vultures force him up and away. Banished. Ahmed feels the first drop of blood on his upturned face. He opens his eyes and looks upward, sees the foot of his neighbour Laura hanging from her balcony, blood gathering on the toes. Ahmed has crashed to earth. 9.15 pm. With keys to Laura's flat, for Ahmed looks after her orchids while the young air hostess is away, he goes upstairs. But her door is ajar, the window wide open. A bottle of wine on a table, two glasses and – on a white platter – an uncooked joint of pork bathed in blood and stabbed with a kitchen knife. The horror is out on the balcony. Laura, bound and gagged, T-shirt crimson, one enormous gash from the belly down. Ahmed returns to his flat, changes his stained djellaba and gets back into bed. Sleep. Dream. 3.45 am. Lieutenants Kupferstein and Hamelot, back at headquarters after having examined the murder scene, written their reports, eaten sushi and drunk beer – now sit apart, in their own worlds, distancing themselves from the savagery. 5.25 am. Ahmed gathers his blood-stained clothes and jogs along the canal for the first time in three years. In the undergrowth he burns the clothes. He feels again, he is alive. Back at his flat, carrying morning croissants and baguette, Ahmed finds two police officers. They tell him that his neighbour has been murdered. This time he allows himself to feel the shock. And invites them in. There are questions and it seems that for now detectives Kupferstein and Hamelot tacitly agree that Ahmed is not their man. Do you have a job, Monsieur Taroudant? Sick leave? For what? Depression? Before that, your job? Night-watchman. Thank you. Here are our contact details. 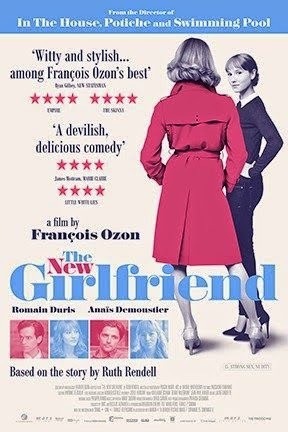 Do not leave the arrondissement. But Ahmed never does. He closes the door behind the detectives and later, listening to the iPod that Laura gave him, loaded with her favourite music, he weeps. He will find the killer. Karim Miské is a Franco-Mauritanian writer and documentary film-maker born in Abidjan but raised in France. ARAB JAZZ is his first novel, winning the 2012 French Grand Prix de Littérature Policière. Its title is a tribute to James Ellroy's WHITE JAZZ and its translator, Sam Gordon has made a vivid, natural telling in his own first novel-length translation. "I had been reading about the trial of the survivors of this [earlier] jihadi group in 2008 …. and the self-proclaimed imam of that group inspired one of the characters of the book. It was this imam who recruited one of the Kouachi brothers. When the Charlie Hebdo attack happened, I was, like everybody, horrified by the murders but also really disturbed by the way reality had re-entered my novel." With two strong police characters, Kupferstein and Hamelot, a psychotic murderer, brutal corruption and the advent of a little blue pill that delivers a messianic high – we have a very potent brew and a plot that spans the Atlantic, Paris to New York. 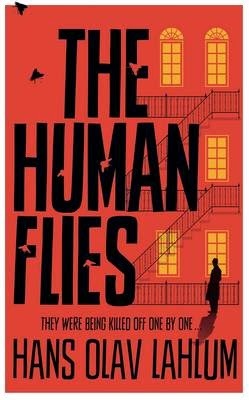 If you love the distinct flavour of French crime-writing and can take the misogynistic crime (and let's face it there is plenty of misogynistic crime in thrillers) this is a gripping, rich and wonderful book. With the writer's plan to develop a trilogy... start now with ARAB JAZZ. 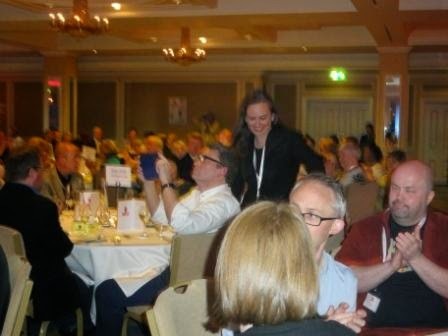 The three Petrona Judges: Sarah Ward, Dr Kat Hall and Barry Forshaw who asks Maj Sjowall up to the stage. 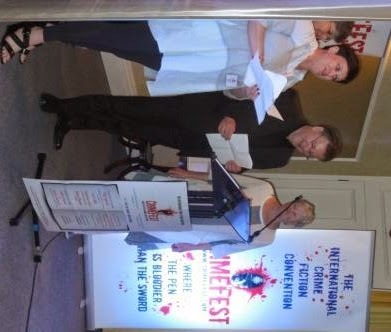 Concentration as the shortlist is read out and Kat clutches the trophy in its box. and Yrsa makes her way to the stage. and gives her speech thanking firstly her translator Victoria Cribb. RC: an engineer, Italians surprised that an engineer can write. Used skills to plot. Big diagrams on the wall. GS: Bergen people quite satisfied with themselves so when they got a successful detective they were quick to put a statue up. JLH: Wisting pronounced Visting named after a hero who went to South Pole. No plans to stop writing after ten books. GS: First book tried to do a typical PI in Norway in '70s in the model of Ross MacDonald, Chandler. Didn't really work so second book was different. RC: Series character Michele is awkward, conflicted so half the audience won't like him, other half love him. Michele is a policeman who acts as a PI which you can do in Italy. MR: Learned a lot about writing not just Iceland in writing about something new. GS made Varg Veum quite different to himself but sees him as a best friend, knows him well after 17 books. GS - Don Bartlett is a great translator; GS read a couple of chapters of new book and recognised his own jokes! RC: Books translated into both English and separately into American. Latter was 50 pages shorter. The CWA Dagger Awards will be presented on 30th June, to mark the end of Crime Reading Month (www.crimereadingmonth.co.uk), at a gala dinner in central London. 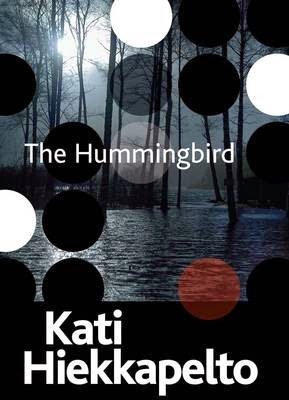 KH's The Hummingbird is set in a northern, unnamed, Finnish town which doesn't exist. It has sea, mosquitoes, cold in winter. GS: Bergen is a noir place - rains 250 days a year! Weather is very important to Norwegians - in their genes from being fisherman, peasants. CC: Wrote from memory, Orkney Twilight is set in 1984 summer when the sun doesn't go down. Going back soon with daughters, daughters are the age she was when she was there. Orkney is a mysterious place full of secrets. She started writing it when she was in the US, longing for home and cool. 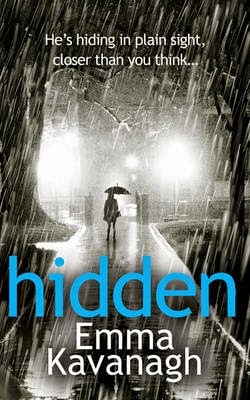 CR: Had no intention of writing in Nordic tradition – original plot had a body washed up and it was a girl from Tallyn – but Peter Robinson beat him too it. So had to find another place. Faroe has 300 days of rain. In an day research trip, stopped raining twice ...to snow. Wind can prevent driving – lift up car if on high points. GS: Dark winter, light summer so plot during dark winters, write it in summer, publish in autumn. KH agreed. West Norway has north sea climate like part of UK. Varg Veum actor speaks with Eastern dialect though book Varg Veum has a western dialect – GS says it is very hard to act naturally with such a different dialect. Varg Veum can keep going past 70. CC: Next book is set in southern England. Might go back to Orkney. Originally intended to be a one off but publisher wanted a sequel. 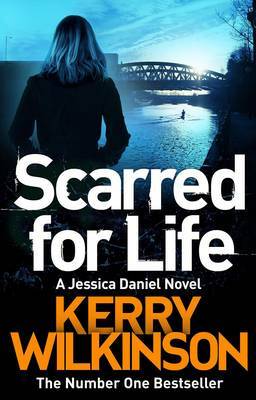 CR: Next book is in lower nordic region…Glasgow. No muder in Faroes for 26 years until half way through writing The Last Refuge when there was a murder. No body has ever been found – Serbian husband convicted of killing his wife on evidence of a frying pan with her blood on it. KH: Fekete means black in Hungarian. Next book The Defenceless is set in spring and is about drugs and immigrant gangs. CC: Wove Norse mythology though the story. GS: Crime just a way of writing about our times in a popular way. Bergen is very safe. The new book about a wind farm. The latest four Varg Veum books are translated in order and all by Don Bartlett. KH: The village where she lives – she doesn't lock doors, car doors or lock up bike. KH: Finland is a very racist country. She is the only crime writer writing about immigration. Policy: don't let immigrants come, don't give them houses, jobs etc. A ten-year-old boy, Noah, falls from the Humber Bridge while out with his friends. His friend, another ten-year-old boy, is found guilty of his murder. Eight years later Humber Boy B, or Ben as he is called now, is paroled from prison and relocated to Ipswich. For his own safety he is told that he is not allowed back to Humberside or to be in contact with his own family and the Noah's family. Cate is the probation officer assigned to the task of re-introducing him to society. Ben is very ill-prepared for life on the outside after spending so long institutionalised, and Cate seems to be the only person who senses the lonely and confused child within the young man. Meanwhile Jessica, Noah's Mother, has set up a Facebook page asking for people's support in finding her son's killer and a follower on the page, Silent Friend, is determined to help her get justice. The author has worked with young children that have been committed to prison for similar crimes that form the basis for this story and this experience shows through in the writing. The boy at the centre of the story comes from such an emotional and physically deprived environment that, while making no attempt to provide excuses for Ben, the author manages to generate a degree of sympathy for him, that took me by surprise. As the story of Ben's life is disclosed, we learn more about the circumstances leading up to the dreadful event and also more about the missed opportunities by various adults who could have intervened and prevented the death. 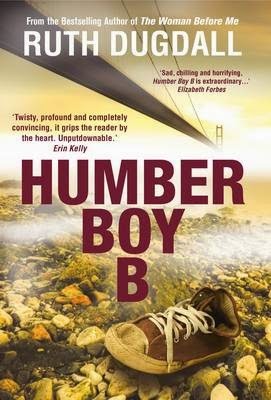 HUMBER BOY B is a very sad, disturbing read that raises some really uncomfortable truths about the impact on children raised in poverty with parents who cannot or will not care for them and also the difficulty for prisoners of any age who have been jailed for a long time, to assimilate into society without being taught up to date life-skills and receiving massive support. The subject and the writer's treatment of it reminds me to a degree of Sophie Hannah. Recommended as a thought provoking and good read. This is only the third novel by this author and I will be looking out for more in the future. Giants of the genre are pitted against a clutch of new voices in one of the most prestigious crime writing prizes in the country. The longlist for the 2015 Theakstons Old Peculier Crime Novel of the Year Award sees stalwarts Ian Rankin, Lee Child and John Harvey in the running. Rankin and Child battle it out, each with their 19th novels in the iconic Rebus and Reacher series. Lee Child’s number one global bestseller Personal takes on Rankin’s Saints of the Shadow Bible, which brought Rebus back from retirement. John Harvey’s Darkness, Darkness could be a swan song for the gong with Resnick’s last case, 25 years after the Detective Inspector’s first appearance. 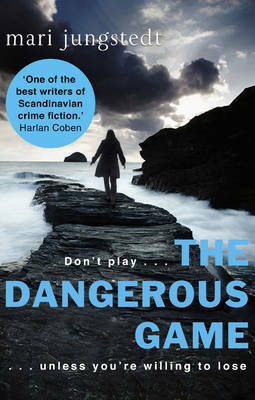 2014 winner Belinda Bauer is back on the list with The Facts of Life and Death, a chilling story where lone women are terrorised in a game where only one player knows the rules. Taking on the old guard is the debut that threatens to be “as big as Jo Nesbo”. The electrifying serial killer thriller, Eeny Meeny from M.J. Arlidge features the tough, determined and damaged DI Helen Grace. Other debuts include the TV and film scriptwriter Ray Celestin’s The Axeman's Jazz, a stunning atmospheric crime thriller set in 1919 New Orleans, inspired by a real life serial killer, and Sarah Hilary’s compelling first thriller, Someone Else's Skin, which received critical acclaim for being superbly disturbing, twisty and tricksy. Disappeared is Irish journalist Anthony Quinn’s first novel, set in a dark corner of Northern Ireland where the Troubles have never ended. And Antonia Hodgson’s debut, The Devil in the Marshalsea also makes the list with her medieval murder mystery. Child 44 author Tom Rob Smith appears with his fourth novel, Number One bestseller The Farm, an utterly riveting and hypnotic psychological thriller part-set in Sweden. Scottish author Louise Welsh delivers with her first apocalyptic thriller in her Plague Times trilogy, A Lovely Way to Burn. 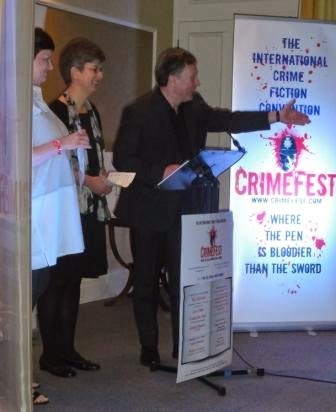 Now in its eleventh year, the Theakstons Old Peculier Crime Novel of the Year Award was created to celebrate the very best in British and Irish crime writing and is open to crime authors whose novels were published in paperback from 1 May 2014 to 30 April 2015. The 2015 Award is run in partnership with T&R Theakston Ltd, WHSmith, and Radio Times. 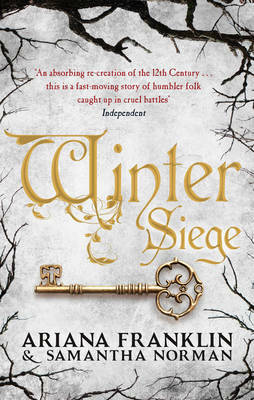 From 21 May to 17 June, longlisted titles will feature in a four-week campaign across all 600 WHSmith stores and 80 library services, representing a total of 1645 library branches. The longlist will be whittled down to a shortlist of six titles which will be announced on 15 June. 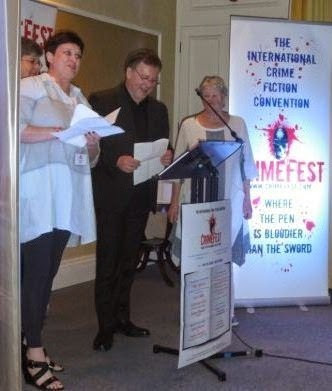 The overall winner will be decided by the panel of Judges, which this year comprises of Executive Director of T&R Theakston Ltd. and title sponsor Simon Theakston, Festival Chair Ann Cleeves, Radio Times’ TV Editor Alison Graham, Head of Fiction at WHSmith, Sandra Bradley and Producer of the Radio 2 Book Club, Joe Haddow, as well as members of the public. Previous winners of the Theakstons Old Peculier Crime Novel of the Year award include Denise Mina, Lee Child, Val McDermid, and Mark Billingham. 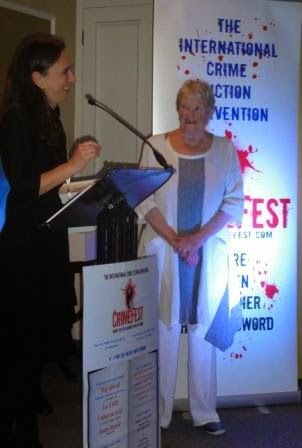 The winner of the prize will be announced by title sponsor Simon Theakston at an award ceremony hosted by broadcaster and Festival regular Mark Lawson on 16 July on the opening night of the 13th annual Theakstons Old Peculier Crime Writing Festival in Harrogate. The winner will receive a £3,000 cash prize, as well as a handmade, engraved beer barrel provided by Theakstons Old Peculier. 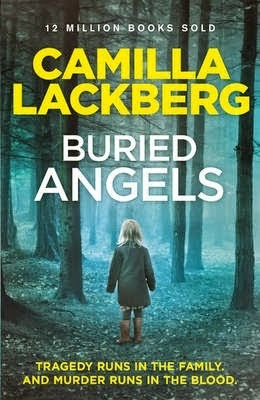 Camilla Lackberg's last two books, THE LOST BOY and BURIED ANGELS (both tr. Tiina Nunnally) have both revolved around an island. I always enjoy Lackberg's books to a certain extent, which varies on the amount of soap-opera activities of the main characters Erica (novelist) and Patrick (police officer) and their expanding family, and the antics of Patrick's fellow police officers. 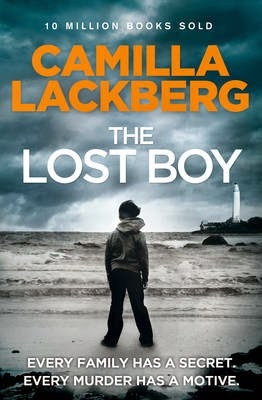 Whilst THE LOST BOY was an ok read, I did guess one of the twists; the better of the two books I think, is BURIED ANGELS with its cold case locked-island mystery involving the disappearance of all but one member of a family. 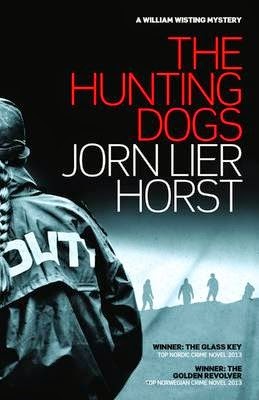 I hope Jorn Lier Horst will forgive me not doing his books justice will full reviews. In my defence I am one of the team who put CLOSED FOR WINTER and THE HUNTING DOGS (both tr. Anne Bruce) on the Petrona Award shortlists for 2014 and 2015 respectively. 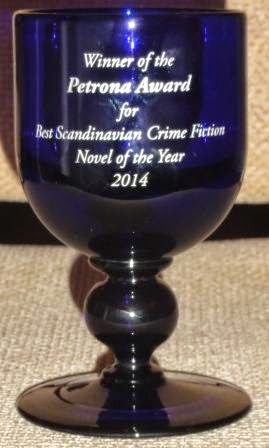 The Petrona Award recognises the best Scandinavian crime fiction in translation. 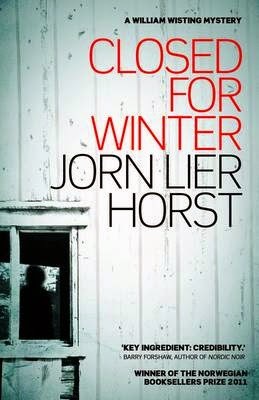 CLOSED FOR WINTER revolves around a murder in a holiday cottage and it takes its main character Chief Inspector Wisting to Lithuania, and THE HUNTING DOGS sees Wisting suspended and suspected of falsifying evidence. Wisting is a likeable, empathetic character who has an awkward relationship with his daughter Line a journalist. Line often ends up, though in a naturalistic way, running a parallel investigation into Wisting's cases from a “news” point of view. Kati Hiekkapelto's striking debut, THE HUMMINGBIRD (tr. 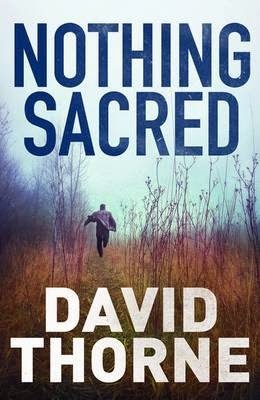 David Hackston), which introduces Anna Fekete, an immigrant to Finland from the Baltic states, catapulted its way on to this year's Petrona Award shortlist. Anna has to put up with extreme prejudice from her new police colleague as they try and catch a serial killer. Menzies), well after a bit. The Intercrime group, having no serious crime to deal with have been disbanded and their leader retired off. Slowly however the team finds that the investigations they're involved in separately, have a connection. I enjoyed the previous two books in the series greatly but I struggled with this one and I lost interest in the second half. I wouldn't recommend starting the series with this one but I would recommend the series overall. 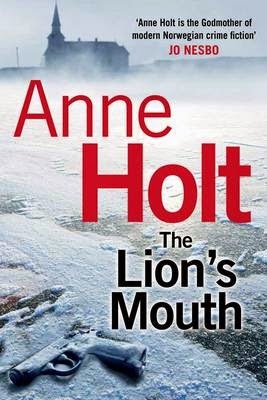 Having enjoyed Anne Holt's DEATH OF A DEMON I went straight on to THE LION'S MOUTH (both tr. 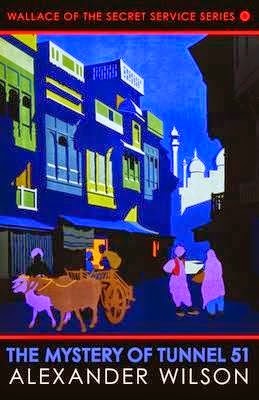 Anne Bruce). Regular lead, Inspector Hanne Wilhelmsen, is more of a bystander in this one as she's out of the country initially. 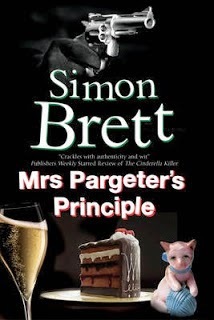 However the murder of the Prime Minister in her office - a closed room mystery - brings Hanne home to provide unofficial support to her colleague Billy T. I love books set in the world of politics so I lapped this one up. My only reservation was the ending but I cannot expand on that! 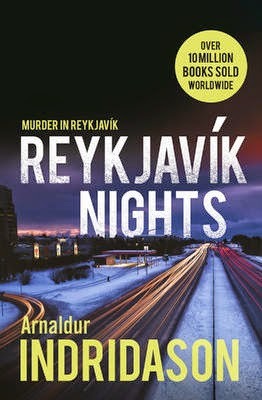 Another 2015 Petrona Award shortlistee is REYKJAVIK NIGHTS by Arnaldur Indridason (tr. Victoria Cribb) which is a prequel to his established series and introduces the young Erlendur in his first few years at the police. He is on traffic duty and on the night shift. He investigates the death of a tramp and in addition we get to see how he meets his future wife. It should appeal to existing and new fans alike. 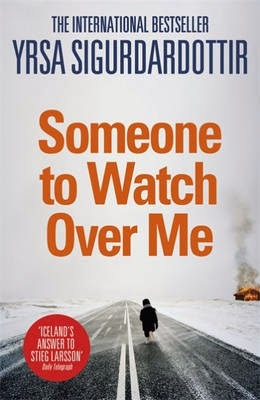 two books being shortlisted for the Petrona Award: SOMEONE TO WATCH OVER ME (tr. Philip Roughton) for 2014 and THE SILENCE OF THE SEA (tr. Victoria Cribb) for this year. In SOMEONE series character, lawyer Thora takes on the case of a young man with Down's syndrome who is accused of burning down a care home and killing five people and it is set against the backdrop of the financial crash. SILENCE has a slightly different structure with Thora not being in the book as much as usual. A yacht returns to Reykjavik with no-one on board though a family and a crew were on it when it left Portugal. Thora is hired by the grand-parents of the surviving child who did not go on the ill-fated trip to prove that the parents are dead. 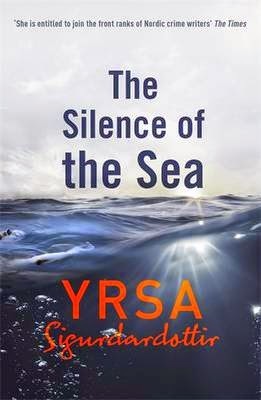 The narrative is split between Thora's investigations and a recounting of what happened aboard the yacht and is an extremely tense and compulsive read. 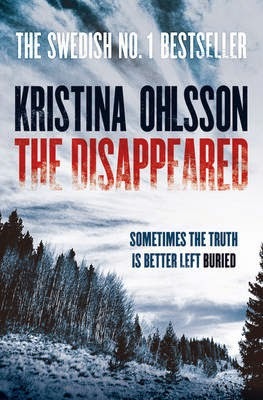 Kristina Ohlsson's THE DISAPPEARED (tr. 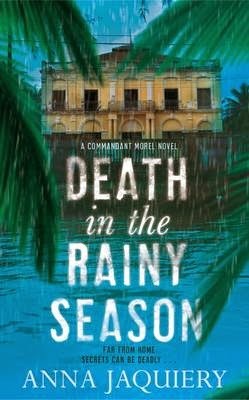 Marlaine Delargy) the latest book in the Alex Recht/Fredrika Bergman series continues to mix the personal with the professional in a similar way to Camilla Lackberg. All the main characters go through personal trauma whilst looking into the cold case of a missing student whose body has just been found. I enjoyed this very much. Hans Olav Lahlum's THE HUMAN FLIES (tr. 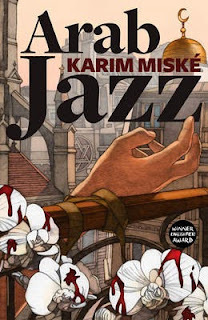 Kari Dickson), also shortlisted for the 2015 Petrona Award, introduces the nice but dim Norwegian policeman K2 and his brilliant civilian sidekick Patricia who is confined to a wheelchair and rarely leaves her home. 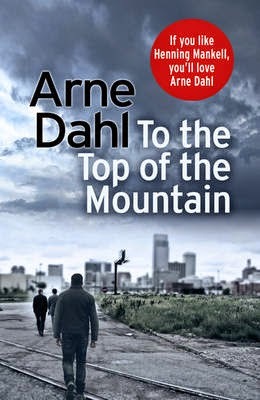 Set in Oslo in 1968, they have a locked room mystery to solve where the murderer must surely be one of the apartment block's residents, all of whom seem to have a connection to the legendary war hero victim... FLIES melds an intriguing mystery with a look into recent Norwegian history. 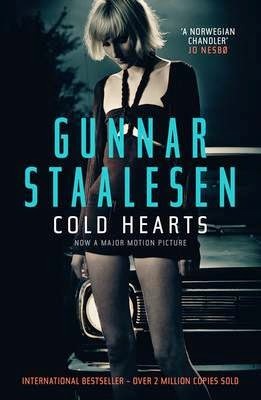 Finally, staying in Norway, ages ago I read COLD HEARTS by Gunnar Staalesen (tr. Don Bartlett). I do enjoy this series, set in Bergen, so I can't wait for the next three books in the series which are due from Orenda Press and will also be translated by Don Bartlett.